Why Does Rev Sharpton Go On Glenn Beck’s Program? I just saw Rev. Al Sharpton on Fox News and the Glenn Beck program. I quickly said to myself very quickly why would Rev. 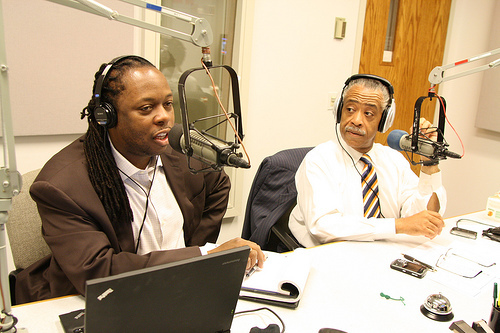 Sharpton go on Beck’s program? Then again it seems Rev Sharpton is on everyone’s program. Is he trying to lead or is he trying to be a celebrity? Glenn Beck, Sean Hannity, Rush Limbaugh and Laura Ingraham and others are the reason their is so much hate against the left and so much hate against President Obama. 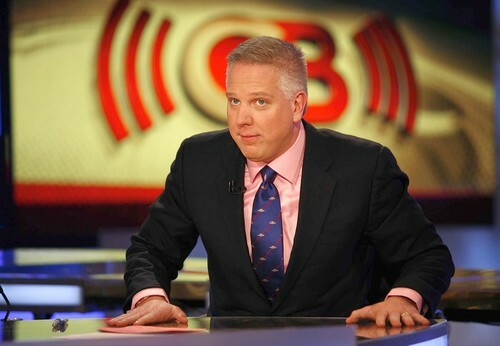 GLENN BECK IS ONE OF THE LEADERS OF THE TEA PARTY FOR GOODNESS SAKE!! It seems to me Rev Sharpton loves to jump on MSNBC, loves to jump on CNN and for some godly reason, loves to jump on Fox News. Is it because he loves to be seen on national TV and be seen? What the heck is it? It kind of bothers me when I see Rev Sharpton over and over and over again on Fox News and CNN and MSNBC. But what bothers me the most is Rev Sharpton on Hannity’s show and Beck’s show. Both of those fellas blast Rev Sharpton and Rev Jesse Jackson and of course President Obama at will when ever they can. So again, why would Rev Sharpton continue to go on their programs? Beck and Hannity on a everyday basis call President Obama a “socialist” a “radical” and constantly talk about President Obama’s “radical” friends. To me, I think Rev Sharpton loves to see himself on National TV with his very nice suits on his hair looking nice. When I turn on the TV and see Rev. Sharpton posted up on Glenn Beck’s show knowing how he is treating our President and other people of color I have a problem. Remember Beck called President Obama “a racist”. I guess Rev Sharpton has forgot issues like this in order to be seen on national TV. I respect Rev Sharpton for standing up for issues regarding people of color. I really do, but on this issue, I do not support him at all. Please check out the latest entertainment news via MTV RIGHT HERE!! American Idol news and more!! RIGHT HERE on “Music Inner City News Magazine!! Look for it here on the home page. WHY Did SI Come Out With Story The Day Of Super Bowl Press Day? Is Weezy Heading Down The Same Path As Whitney?